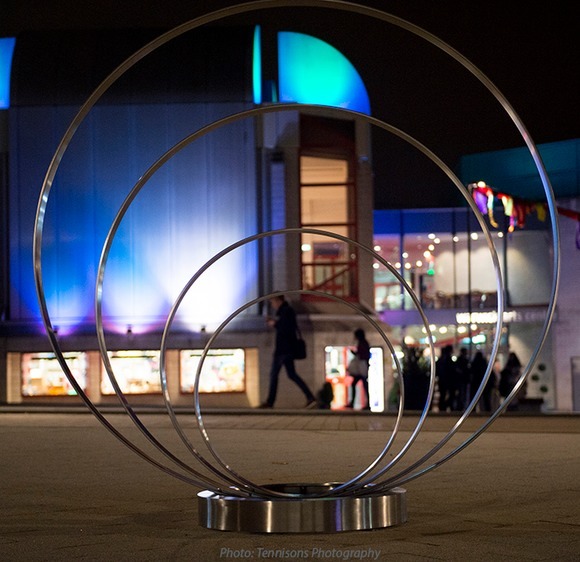 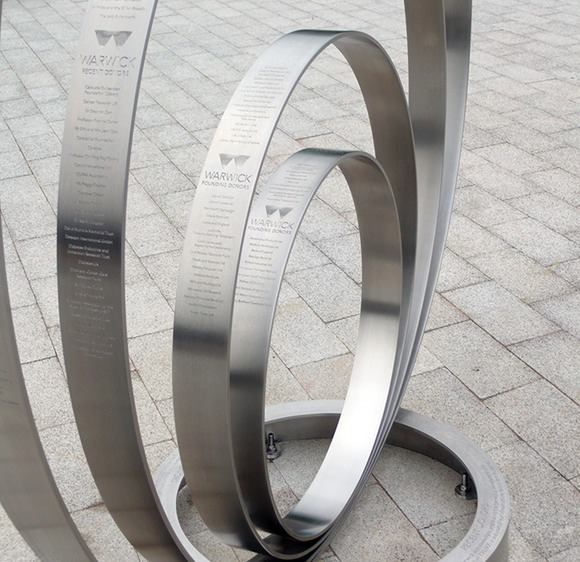 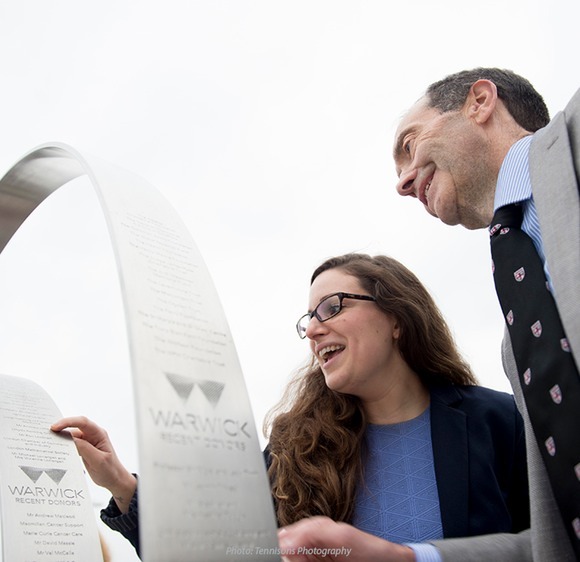 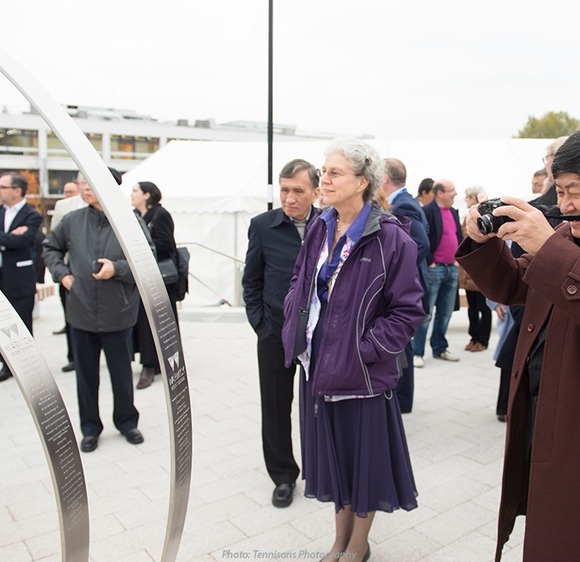 The University of Warwick have just reached their 50th anniversary, and wanted to commission a sculpture that celebrated and gave thanks to all the benefactors who have contributed over the years to their success. 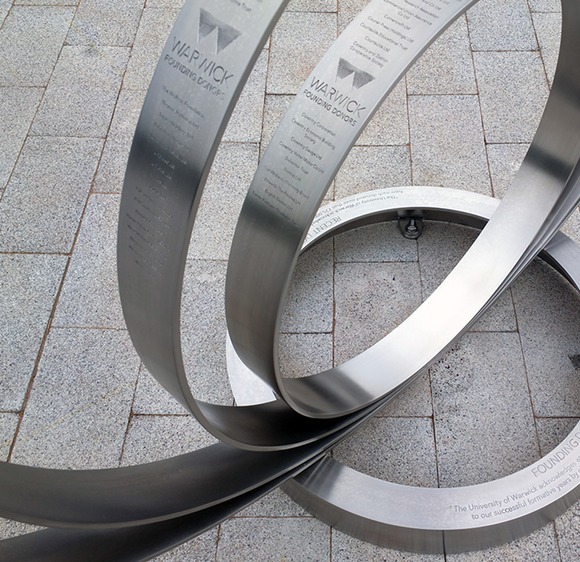 My aim in approaching the commission was to design a piece that commemorated the university’s benefactors whilst avoiding the static look that plaques and monoliths typically have. 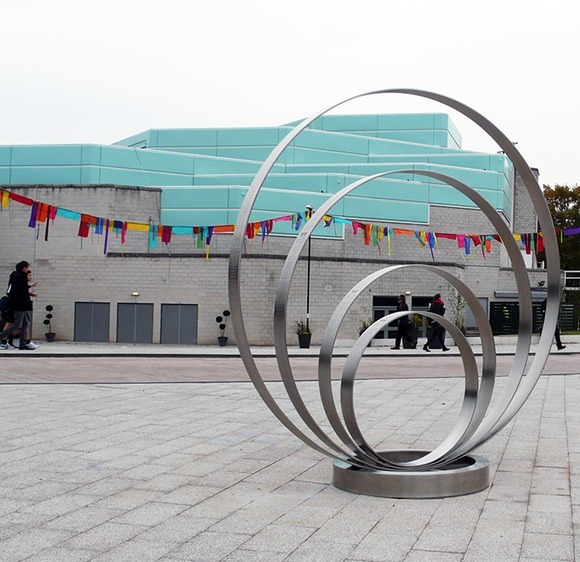 The sculpture needed to embody vibrance, movement and the continuous changes that have occurred and continue to occur because of the benefactors’ generosity and support - a ripple effect. 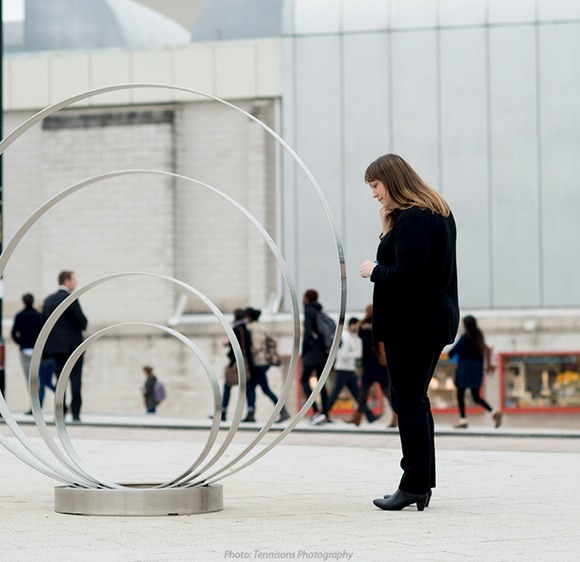 Even though the sculpture is made from metal which in itself is a heavy material, I hope to capture a lightness of form that suggests a feeling of fluid opportunity. 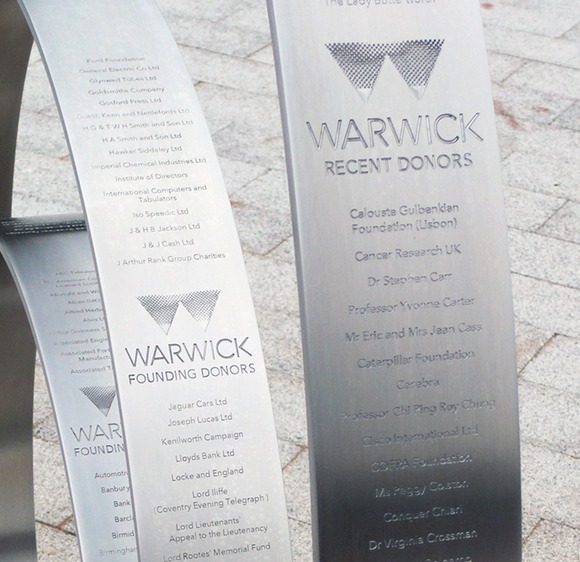 And the sculpture itself will continue to grow, as future donors’ names are added in the years to come. 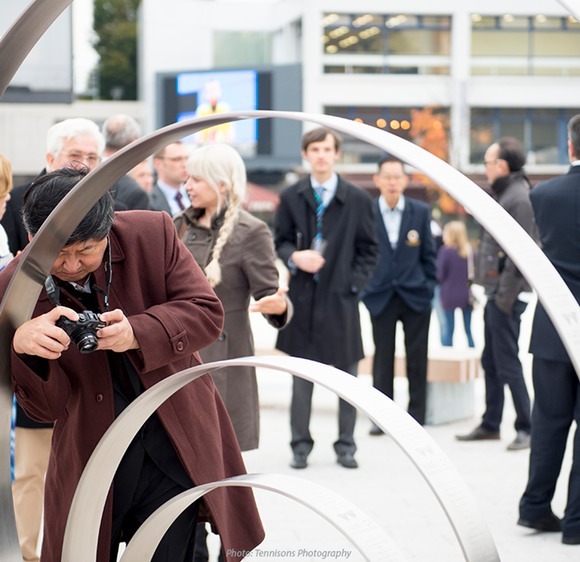 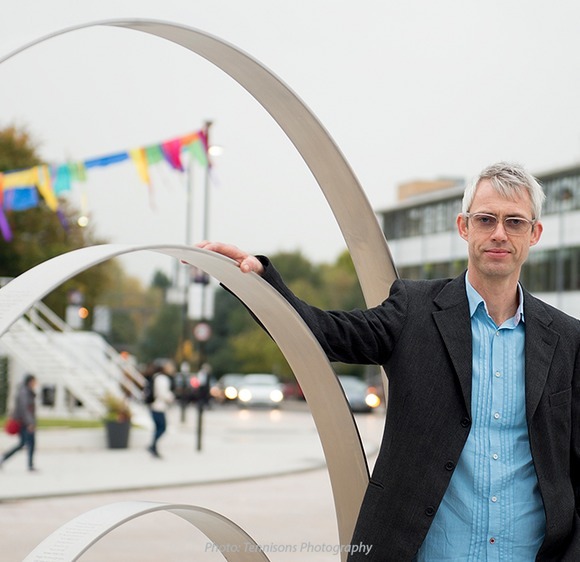 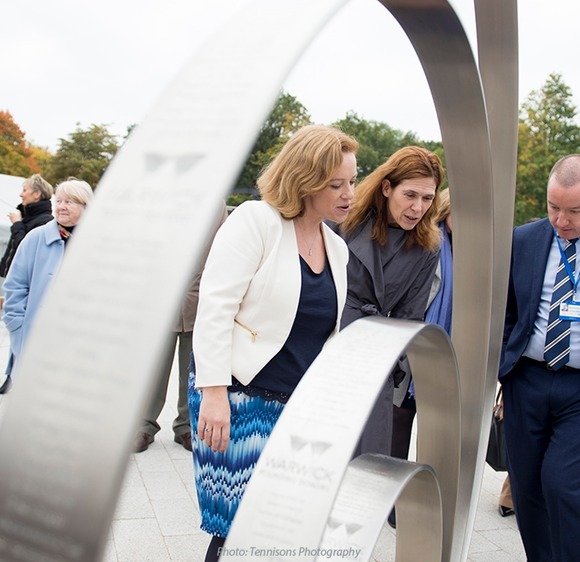 The sculpture was unveiled��on October 16th by the University's Vice Chancellor Professor Sir Nigel Thrift, during a ceremony attended by a large�group of University benefactors and staff. 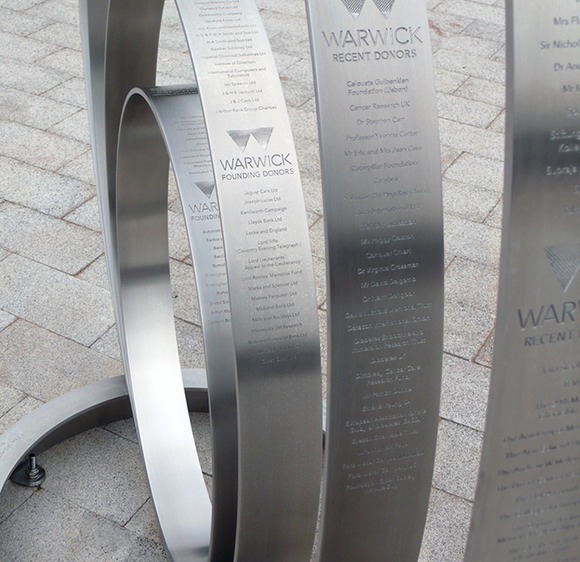 'Ripple Effect' measures H 2060 x W 2000 x D 800mm, and was fabricated by Benson Sedgwick Engineering.